A restored 18th Century former meteorological tower with panoramic 360-degree views is the latest property to join the portfolio of specialist internet holiday cottage agency, www.cornwallscottages.co.uk. 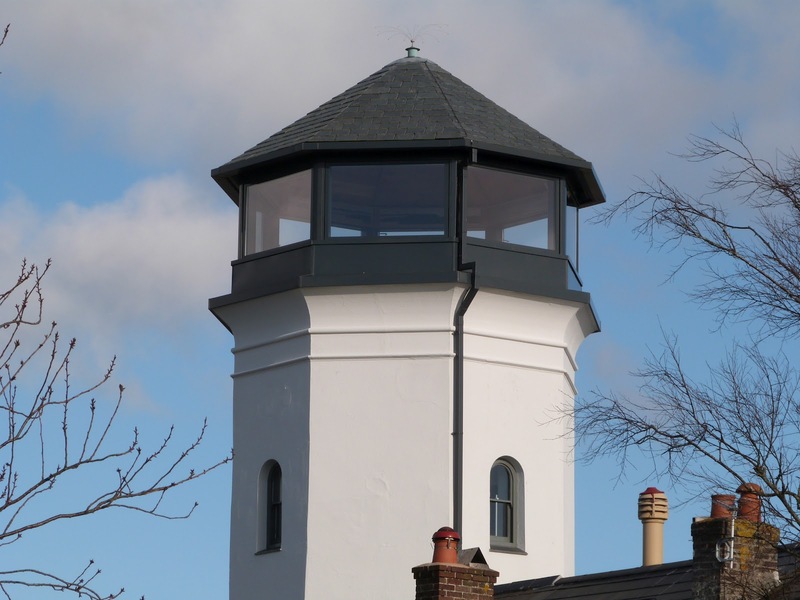 Occupying the highest point in Falmouth, The Observatory Tower was built to watch and identify incoming weather, and after a complete renovation now offers unique and luxurious self-catering accommodation for up to four guests. Due to the circular interior of the tower, most of the furniture is bespoke and the observation deck on the top floor offers unparalleled views of the town, marina, harbour and the Fal Estuary. Set out over five floors, the accommodation features a private double bedroom with en-suite wet room on the ground floor. There is also a useful utility room and access to a small courtyard area. Upstairs, the living room is a flexible space that can be easily converted into a second double bedroom with a pull down wall bed. The bathroom is stylish and is fitted with a double bath. A bright and airy space, the kitchen is on the second floor and features quartz worktops and top of the range Neff appliances. Photographs, plans and original weather reports adorn the walls giving a sense of the tower’s history. 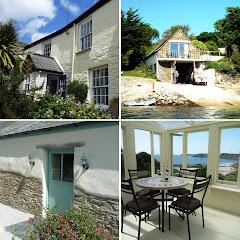 The main living room is on the third floor and boasts views of Falmouth Bay from the large window. A TV, DVD player and iPod docking station provide entertainment. The observation deck is on the top floor and after a climb of 66 steps, a drink from the bar area and a sit down to admire the spectacular 360-degree view will more than make up for the effort. Teeming with maritime treasures, Falmouth is a short walk away with its range of seafood restaurants, pubs, galleries and attractions including the National Maritime Museum Cornwall and Pendennis Castle. Providing a spectacular backdrop to 9 days of sailing, the town hosts the Henri Lloyd Falmouth Week in August, running events both on and off the water. A week’s stay costs £929 from 10 August. The Observatory Tower is not suitable for children under 12 and does not allow dogs. Bedankt voor de tijd neemt om dat te bespreken, ik voel me echt sterk over en liefde meer te leren over dit onderwerp. Falmouth can be a great place for vacations and spending the holidays, but there are also many scenic locations around the British Isles, Northern Ireland, and Scotland and around places. Book a perfect cottage or villa of your choice and indulge with your companions to the fullest in nature’s bountiful surroundings. Be sure to book beforehand to avoid inconvenience, especially during the peak holiday season.